Enrolling a student at Endeavour College is simple! 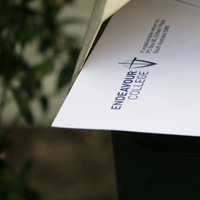 Complete the application and return to Endeavour College with the application fee. We’ll schedule an interview and Q&A session for you to meet with our Principal, Heather Vogt. A letter of acceptance will be sent to you, should your application be successful. 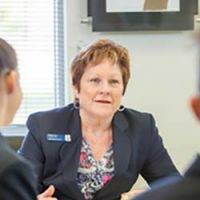 Places at Endeavour College are in high demand, particularly for Years 7 and 8. We encourage you to lodge your enrolment application at least three to four years in advance of your eldest child commencing. If you are seeking Year 7 or 8 enrolment for 2019, 2020 or 2021, we recommend that you contact our Registrar to discuss availability. Thank you for your expression of interest in enrolling your child/children at Endeavour College. Please complete this enrolment form including details for all children. We encourage applications to be submitted at least 3-4 years prior to your eldest child's entry at Year 7. We look forward to meeting you to discuss your child's secondary education. Is this student a brother or sister of existing/past Endeavour student? Is this student of Aboriginal or Torres Strait Islander origin? Does this student currently access any of these programs? Who will be responsible for School Fees (give details)? Is student enrolled as an international student? If you are enrolling one child into the school, please continue to the next page for Parent Information. Please indicate the factors influencing your decision to seek enrolment at Endeavour College? 1. An interview with the Principal or nominee at a mutually convenient time 2. Support the Christian ethos, policies and aims of the College and ensure to the best of our ability that our son/daughter will likewise support those policies 3. Cooperate with and support the school in matters of student engagement, well-being and discipline 4. The summoning of a doctor, dentist and ambulance, as required in emergency situations 5. Disclose to the school relevant medical, educational, and behavioural information about the applicant 6. Pay fees and charges as set out and as adjusted from time to time at the discretion of the College Council, and within the terms of those payment specified 7. Honour fully my/our financial obligations to the College by the due date, unless satisfactory alternative arrangements have been made before the due date for payment of fees. A non refundable application fee of $50.00 (or $80.00 per family) is required and must accompany this form before the application can be registered. 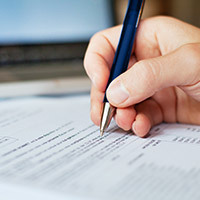 This application fee is not necessary for families from Connected Schools. Please contact Endeavour College on 8368 3311 to make the payment for the Application Fee. 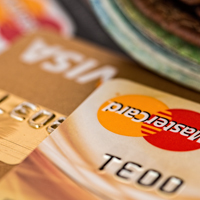 You may pay by cash, cheque (payable to Endeavour College), credit card or direct deposit. Direct Payment into the Endeavour College Account BSB 105 118. Account Number 041101640 (please indicate your family name as the reference).